Happy New Year! Big things in store for 2017, starting with NO LOVE LOST ft. Diamond D to be released shortly via Bandcamp and record shops worldwide. 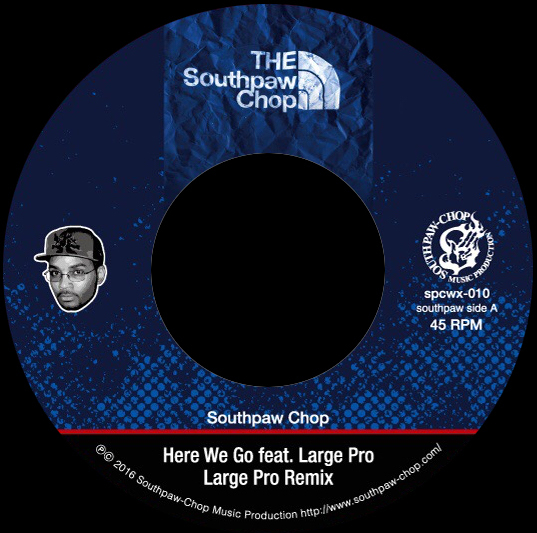 Following the remix and re-release of the underground smash hit “Here We Go” featuring Large Professor, Southpaw Chop returns with yet another dope collaboration with an east coast hip-hop legend. 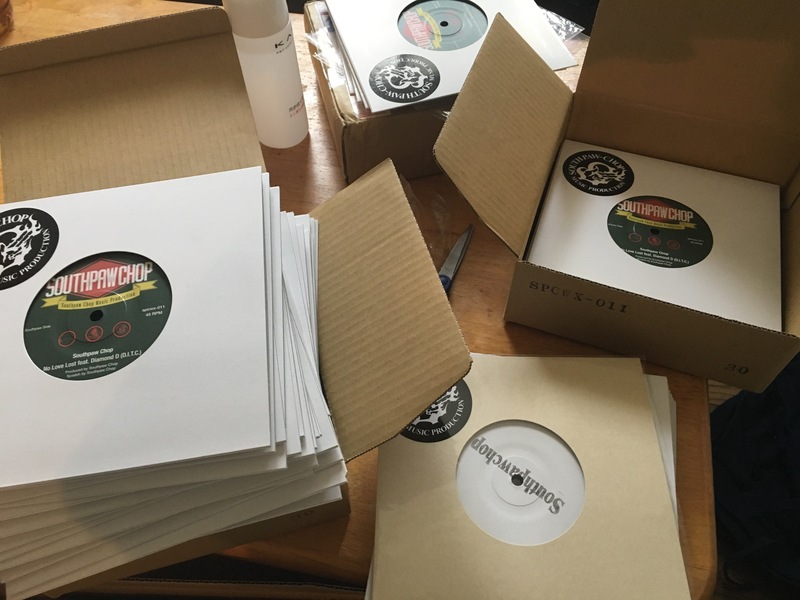 This time, Southpaw Chop teams up with Diggin’ in the Crates Crew (D.I.T.C.) founding member Diamond D, a true hip hop veteran on production and the mic, dating back his work in the late 1970’s as a DJ for Jazzy Jay. 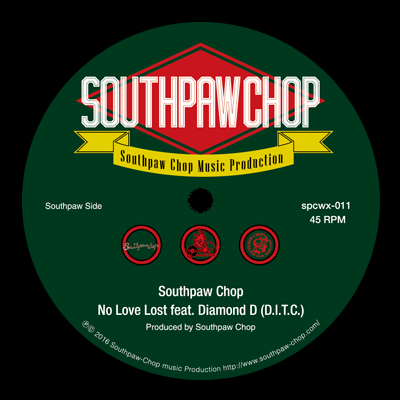 The new release, entitled “No Love Lost” features a thick drum break and unforgettable sampling from Southpaw Chop, matched with the lyrical mastery of Diamond D. The collaboration yielded an instant classic, harking back to the golden days of D.I.T.C. and the roots of hip-hop, reminiscent of classics like Diamond’s own “With the Dope Sound”. With a limited seven inch vinyl release, this is sure to be one of the most sought after records of 2017. Large Pro and Southpaw Chop team up once again with a follow-up to their first collaboration “Here We Go” on the 2010 “Never Stop Sampling” EP. The new release, due out in Late Summer 2016, features a remix by the man himself, Large Pro. Praised as of the great hip-hop producers of the Golden Era of Hip Hop, over the course of his career Large Pro has produced for hip hop legends such as Eric B. & Rakim, A Tribe Called Quest, Mobb Deep, and Nas, as well as his own group Main Source. The original version of “Here We Go” appears on the B side, featuring Large Pro’s tight flows over top of a classic production by Southpaw Chop, with big horn swells and a hard hitting break. The A side, showcases Large Pro’s skills on production as well, with the ”Here We Go (Large Pro Remix)”. Large Pro shows a delicate sense of balance with precise sampling of guitar and horns, and a tight beat pulling the remix together. 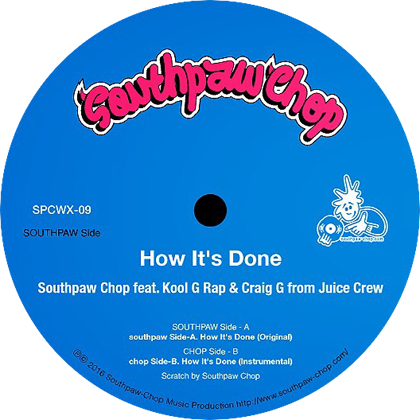 Both songs feature samples of RUN DMC’s “Here We Go”, with cuts and scratches by Southpaw Chop. The digital release will also feature the instrumental version of the remix. 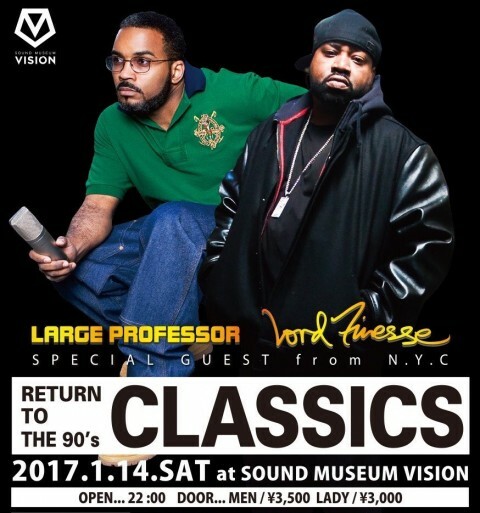 Featuring a team-up of two of the strongest producers from the United States and Japan, this release brings back the vibe of the classic era, with a timeless display of production techniques and respect for the craft of Hip Hop. Large Pro and Southpaw Chop come correct with another classic release. I just made my brand new mix and already upload it to Sound Cloud. Hope all you guys check out the mix and enjoy it. The new release has arrived, fresh off the press! 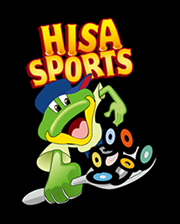 Direct orders and those through HISASPO will ship next week. Foreign customers’ orders have already shipped. Thank you for your support! 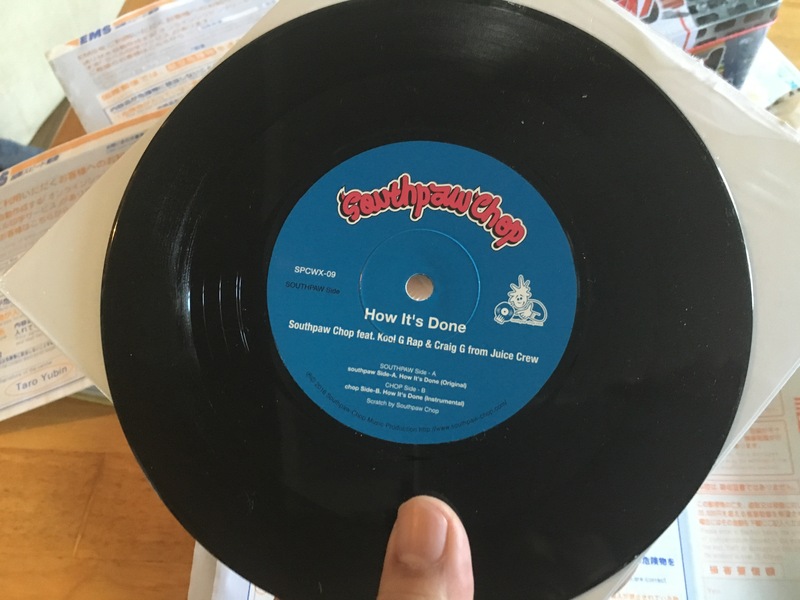 Japanese Hip Hop crew Southpaw Chop keep themselves busy with this new single “How It’s Done” out in Spring 2016. For this release they bring two big guests to the table Kool G Rap and Craig G from Juice Crew. Their previous work “Finger Prints On The Record feat. A.G. (D.I.T.C. )” was originally only released in Japan, however it made its way further abroad gaining great attention from hip hop fans in the US and Europe. This reunion with the Juice Crew builds and brings chemistry, pushing boundaries and sharp rhymes from the two. 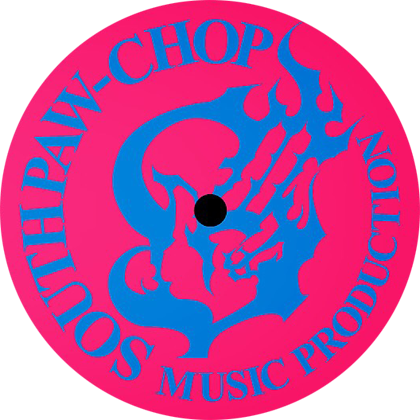 Things get even better when matched with Southpaw Chop’s signature horn sounds and for those who love Cold Chillin’, the label design must be mouth watering. 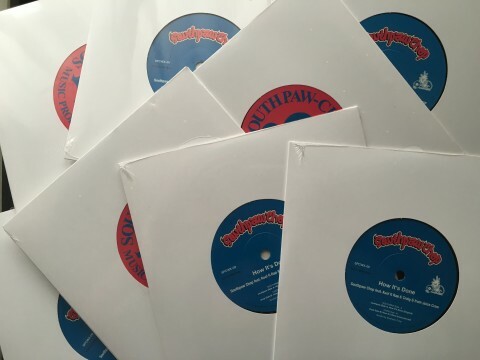 This 7″ will send ripples through the 2016 Hip Hop scene, it’s a must buy!